Let’s face it, as a parent our lives are busy. We would love to hold our baby throughout the day but sometimes that is not practical. A baby carrier gives back the use of both hands to do mommy or daddy things. There are a wide variety of carriers in the market and with more being introduced every year making the choice harder and harder. What is the difference between a baby wrap, outdoor baby backpack, sling or a soft structured carrier and which is the best for your child and you? The most basic and traditional carrier is a wrap. It’s a piece of fabric made from a variety of materials and sizes. It’s an ideal infant carrier and the most versatile to all baby and parent shapes. Infant wraps are the most intimidating of the carriers and do require a parent to be careful and consider the babies safety. As infants grow and become heavier parents find wraps become uncomfortable. The fabric goes around the center of your body, the two ends going across your back and up over your shoulders to create an X. The center of the X on your back is where you will feel most of your babies weight from. The two ends will then come down the center of your body, in between the fabric and yourself, it will then be wrapped around your waist and tied off either on the back or the front of your body. It sounds complicated at first and will feel complicated the first time you try it. The baby will go between you and all the fabric, with each of the layers you created supporting the baby. 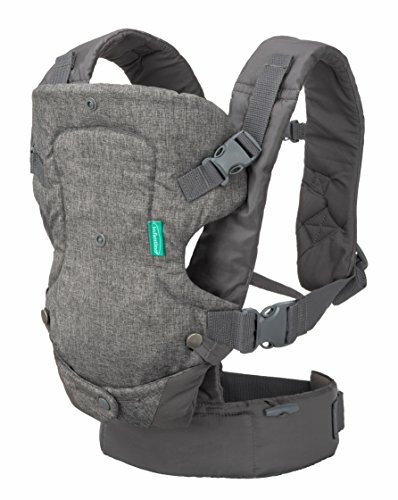 For newborns that can’t support their necks yet, you can bring up the high over their heads giving them the support they need. Mei Tai is fabrics that are shaped like squares and have a strap coming off each corner. The bottom straps and top straps are generally different sizes and width. The longer straps go over the shoulder while the shorter straps wrap around the waist. Mei Tai is much like wraps but is easier to learn and offer more support, however, there are different variations. Depending on the variation Mei Tai can be used for infant to toddlers. A Mei Tai that is short and narrow is ideal for a newborn while a longer and wider Mei Tai is perfect for a toddler. The body of the fabric should be relative to the body of the child it’s supporting. It is important that the neck of the newborn is supporting, once the baby can support its own neck, a neck support is not as important. Most parents end up rolling their Mei Tai and using strings to customize the carrier to their babies size, the baby then grows into the Mei Tai followed by them growing out of it. Mei Tai’s are both front and back carrying for toddlers and only front carrying for newborns. Never carry a newborn in a way that you cannot easily kiss their foreheads, it is unsafe and dangerous. Baby backpacks are best baby carriers that are mostly designed for outdoor use. Depending on the make, they offer a wide variety of features. As the name suggests, they are back carriers and generally feature many pockets, sunshade and are made for toddlers. 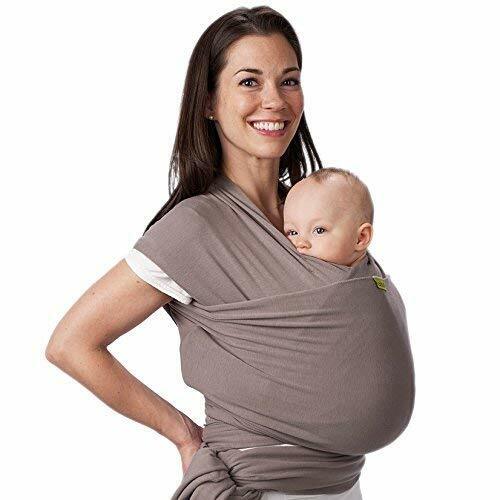 These type of carriers are not ideal for newborns as they can slip between the bag, lack proper neck support and most importantly are extremely unsafe for newborns. If you love hiking, have a toddler and want to take your baby with you a baby backpack is something you should look at. Baby Slings are designed to be hip carried. They generally feature a ring type structure and are ideal for toddlers. Some parents don’t like slings as they babies weight is on one shoulder, this becomes an apparent issue as the child grows heavier. The Boba Baby Wrap Carrier is a top quality baby carrier that is popular among moms. It is a chest wrap carrier designed to provide you with an easy way to carry your little one from one place to anot0her. The product comes in many different colors thus giving you an option to go for the shade that works best for you. 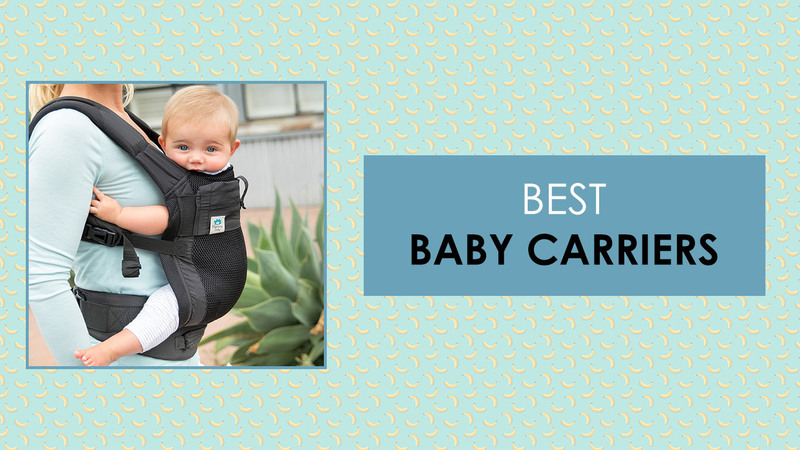 Considering the fact that the carrier places your baby in a chest to chest position with you, it may provide you with a no fuss and less cry solution. The product also allows you to bond with your little one. It is made of a firm French Terry cotton and spandex (95% French terry cotton and 5% spandex) material that provides the much-needed support for your baby’s head and next. The material also supports the weight of your little one efficiently. Since it is super stretchy, it means it will provide enough room for the comfort of your baby. If you decide to go for the Boba Baby Wrap Carrier, you may use it for a long period of time since it is designed for babies that weigh 7 – 45 pounds (0 – 36 months). You don’t have to worry about durability since the product is not likely to sag even after multiple uses. 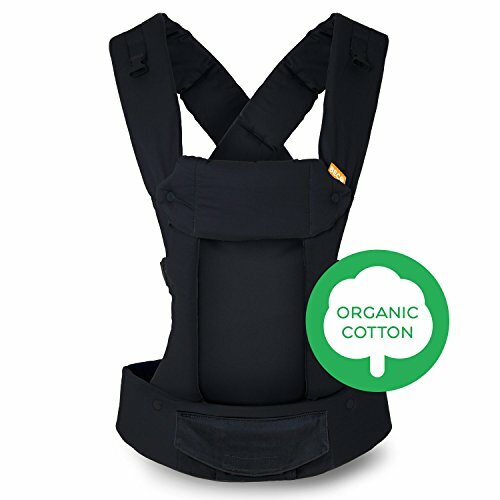 The infant baby carrier is easy to knot and easy to maintain as it supports machine wash.
Interestingly, the product ships with a lifetime customer satisfaction guarantees. Also, it comes with a drawstring carrying sack of the same high-quality fabric as the wrap that makes storage and transportation from place to place relatively easy. The product can be used as a sling carrier, a nursing cover, a postpartum wrap, a swaddle blanket and much more. It is completely risk-free. However, it is important to state that the carrier may make you and your little one hot in hot days and so it is not recommended to use during this period of time. Also, it does not support the customization of positions. It only allows you to carry your baby in a face inwards position. The ERGObaby infant carrier is another amazing product on the market. It features a luxurious design that will keep you and your baby comfortable while allowing you to appear stylish. It is available in different shades that will blend seamlessly into many different outfits. Also, it is a unisex product designed to cater to the needs of babies that weigh about 12 to 44 pounds. It is made from 100 percent premium cotton that supports machine wash. The product is designed in a way that allows for customizable carry positions. It provides support for 360 degrees that allows you to carry your baby in four different positions including front- inward, front-outward, back and hip carry positions. This allows you to change the way you use the product regularly to suit your needs and that of your growing baby. The hip and back position will be ideal as your baby grows. You and your little one will be comfortable using this product as it features a generously padded and wide shoulder straps and waistband. This allows the product to perfectly fit individuals of different sizes thus making it ideal for you and your partner. It features support for your lower back. Also, it ships with a hood to protect your little one from direct sunlight and wind. Considering the fact that the product is designed for babies that are aged about 4-36 months, it means the product may not be a good fit for those aged 0-4 months. However, the manufacturer has taken steps to ensure that your newborn is not exempted from benefiting from all the product has to offer. A newborn baby insert for the carrier is available, but you will need to purchase it separately. In addition, the product has a lofty price tag but considering the above-mentioned features, you would agree with me that the infant carrier is worth the bucks. The Beco baby carrier is a product that features an ergonomic design for a budget-friendly cost. It comes in many different colors thereby giving you an option to pick the one that works best for you. It is designed to cater to the needs of your little one, whether a girl or a boy. It features a minimum weight recommendation of about 7 pounds and a maximum recommendation of 35 pounds. Your comfort and that of your little one will probably not be an issue with this product as it features a generously padded waistband, straps, leg holes, and seat. Also, it features a support for the lower back. The wide straps and waistband say it can be used interchangeably by you and your partners. Almost all components of the infant carrier are adjustable to fit your needs and that of your little one. The good thing is that you don’t need to get an infant insert with the product since the heavy paddings in its interior provide your little one with all the comfort and support he may desire. Furthermore, the product allows for customizable carry positions. It supports four positions that include a front facing in, front facing out, hip, and back carry positions. These different position option will allow you to change the way you carry your little one from time to time so as to perfectly fit his growing body. The product is made from a soft and durable cotton fabric that allows the product to last for several years and multiple babies. It is easy to use and easy to maintain since it supports machine wash. Although the product is more expensive than similar mid-range products on the market, it ships with a lifetime customer satisfaction guarantee. Meanwhile, some users complained that the waist and strap belt clip incorporated in the product is sometimes difficult to open. The Babybjorn infant carrier is a product made by a reputable manufacturer. The product features a modern and ergonomic design that will make you and your baby the center of attention in a crowd. It brings a lot of features to the table for a budget-friendly price. The manufacturer had the comfort of you and your little one at heart when making the carrier as it ships with a generous padding on the straps as well as the leg opening. The product is made from 100 percent safe cotton fabrics. It is available in four different colors, all of which will blend seamlessly with many different outfits. The Babybjorn infant carrier is designed for use in babies that weigh about 8-35 pounds. Which means it may be used from birth up to 1 year. It is easy to use and easy to secure. The product is lightweight and only basic adjustments. You can use the product comfortably knowing that it is completely risk-free. The manufacturer stated that the infant carrier is designed with the help of pediatricians to ensure that it properly supports your little one’s head, spine, neck, and hips. The good thing is that you don’t need an infant insert with this product for your baby to be comfortable. Unlike many mid-range products, this one allows you to customize your use to either one of two different position – babyface in and baby face out. It is durable and can be used daily without a fear for rapid wear and tear. The Infantino flip baby carrier is another amazing product on the market. It features a beautiful design with a shade of light grey that will blend seamlessly with almost every outfit. The product is designed to cater to the needs of infants. The manufacturer recommends a minimum weight of about 8 pounds and a maximum weight of 32 pounds. It features padded straps that leave you comfortable all day long. The hands-free carrying feature allows you to carry out other activities while also carrying your little one. 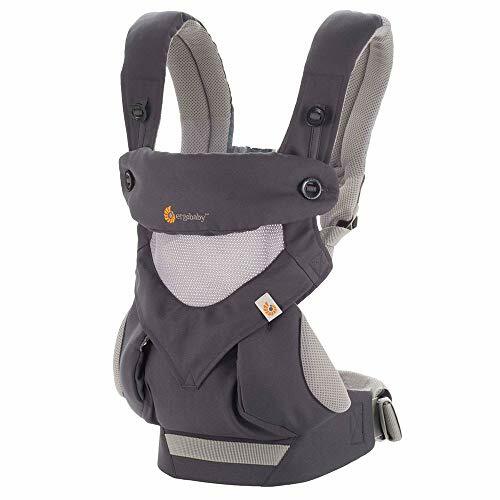 Furthermore, it features adjustable leg openings, seat, waist belt, and straps so as to allow you to tweak the Carrier to perfectly fit your baby. The infant carrier allows you to customize the way you carry your little one thanks to its 4-way carry positions. These positions include baby-facing in narrow seat position for newborns, back carry wide seat position for toddlers and older babies, and facing in wide seat position for older babies. The convertible seats of the Flip Advanced baby carrier make it ideal for your little one from infancy all through his toddler years. It is easy to use and easy to maintain since the fabric is machine washable. Also, it ships with a 2 in 1 wonder bib over that protects the carrier and your clothes. You can use this product comfortably knowing it is risk-free. However, it is important to state that the carrier may not be ideal for newborns that weigh less than 8 pounds. As the name implies, this is a popular and top quality baby carrier that features an ergonomic design. Although the product is more expensive than similar high-end ones on the market, you will soon agree with them that the value it offers outweighs the cost. This baby carrier by Lillebaby is designed to cater to the needs of infant and toddlers since it has a minimum weight recommendation of 7 pounds and a maximum of 45 pounds. It is easy to use and it will not add too much weight to that of your little one since it only weighs about 2.8 pounds. The product is highly rated by users, which is probably due to its amazing features. 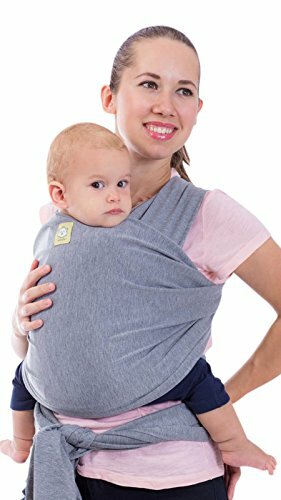 It features a support for 360 degree carrying which allows you to carry your little one in six different positions including front – infant, fetal, toddler, and outward carry, hip carry, and back carry. These versatile carrying positions are made possible by the two-way strap design of the product. The straps are generously padded to provide you with all the comfort you may need while carrying your baby. Also, it provides you with a hands-free comfort thus allowing you to indulge in other activities while carrying your little one. Carrying your little one from place to place is further made easy with the incorporate lower back support. Bonding with your baby is also relatively easy with this product. The product ships ready to use and it does not require you to use an infant insert since it features an adjustable and padded head support that perfectly holds your baby’s head and neck in position. Also, it features a 2-way adjuster and adjustable seats that make it easy to tweak the product to perfectly fit your little one. 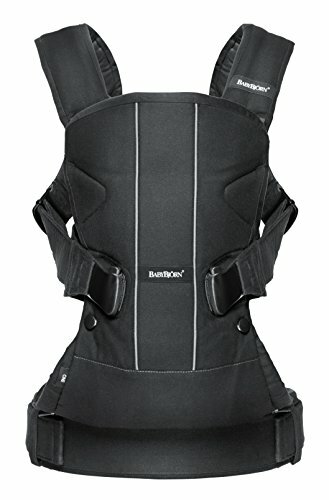 Interestingly, this infant carrier is designed for use in all seasons as it ships with a cool mesh panel. All you have to do is zip up a temperature-regulation panel to keep your little one warm in cold days or zip it down to reveal the 3D mesh panel in hot days. Furthermore, it can be safely used in the winds and under the sun as it features a detachable sleeping hood. The product also sports a large zippered pocket designed to hold accessories as well as an extendable torso to provide your little one with all the comfort he may desire. The Lillebaby infant carrier is made from soft and safe materials. The manufacturer states that all the materials used are free from toxic substances. Also, the product is easy to maintain since it supports machine cleaning. The baby carrier is risk-free. The Keababies infant wrap carrier is a product that is popular among moms. It is a top quality and budget-friendly baby wraps designed to provide you with an easy way to carry your little one from place to place. It comes in three different colors (classy grey, copper grey, and budget-friendly black) all of which will blend seamlessly into different types of outfit. The baby carrier is made from a top quality cotton and spandex material that support the weight of your little one. Since the product is stretchy, it will provide sufficient room for the comfort of your little one. It also allows you to carry your baby comfortable without supporting his weight with your hands. In addition, it may help your little one to cry less as it creates a tummy to tummy and chest to chest contact which gives your little one the feeling of being in the womb. The product allows you to spend quality time really close to your little one thus allow the two of you to bond. It is designed for both infants and newborns. It has a minimum weight recommendation of 2 pounds and a maximum weight recommendation of 35 pounds. This invariably means you will probably use the product for your little one until he is a year old or even more. Furthermore, the product can be used for many different purposes including as a nursing cover that provides you and your little one with all the privacy you may need while breastfeeding in public. It can also be used as a front-facing baby sling, a swaddle blanket, and a postpartum belt just to name a few. The Keababies carrier is easy to knot and secure. It ships with an amazing 100 percent lifetime manufacturer warranty to further assure you of the quality of the product. Also, it is important to state that the product ships with a 100 percent risk-free customer satisfaction warranty and an unconditional full money back warranty if you are not satisfied with it. The setback for this product is that it may not be ideal for hot days since it can make you and your baby really hot. It supports only one position (the face-inwards) position. If you are looking to buy a top quality baby carrier that allows you to keep your little one close to you at all times, then you should consider looking at this one. It is a chest wrap carrier that helps you bond with your little one all day long. 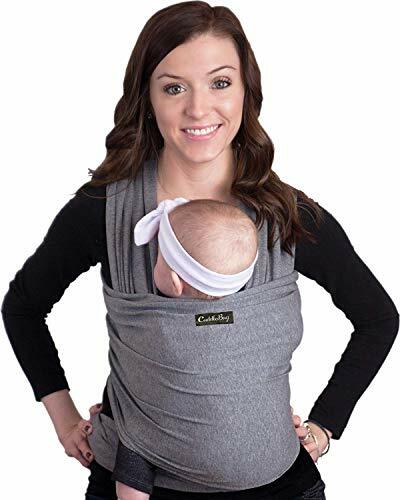 The baby wrap ergo carrier manufactured by CuddleBug will also provide you with all the privacy you will need when breastfeeding your little one in public. You will probably not encounter any problem choosing the best shade for you since the product comes in 8 different colors. If you are worried about whether the product will work well for the weight of your little one, you should note that it is designed to cater to the needs of both newborn and infant. The minimum weight recommendation is 2 pound and the maximum weight recommendation for the baby carrier is 35 pounds. It is made from a firm and elastic French Terry cotton and spandex material that allows it to perfectly support the weight of your little one while also providing room for the comfort of your little one. Furthermore, the product is designed in a way that gives your little one a feeling of being in the womb since it brings your little one really close and allows him to hear your heartbeat. It may help your baby relax and cry less. Interestingly, the design of the product ensures no risk to your little one’s safety. It easy to knot thanks to the eight-step guidelines that ship with the product. It is also easy to clean and maintain as it supports machine wash. However, this product may not be comfortable to use in hot days since you and your little one can get really hot and sweaty. Also, it does not allow you to customize your baby’s position. It supports only the face-inwards position. We all know the difficulties of raising a newborn. As babies grow and become mobile, everyday things become dangerous. Those stairs, rooms, fireplace, furniture, and pricey decorations will need to go but let’s face it that’s not practice. Using baby gates you can create safe places for your baby to crawl, walk and play in. Enjoy stress-free cooking, cleaning and relaxing with peace of mind knowing safety gates are blocking and protecting your child from everyday harmful situations. Some parents like creating secure play areas in the middle of rooms, others like keeping the family pet out. Whether you need a safety gate for your stairs or a retractable baby gate for a doorway, there are a wide variety of options, some better suited for your needs than others.